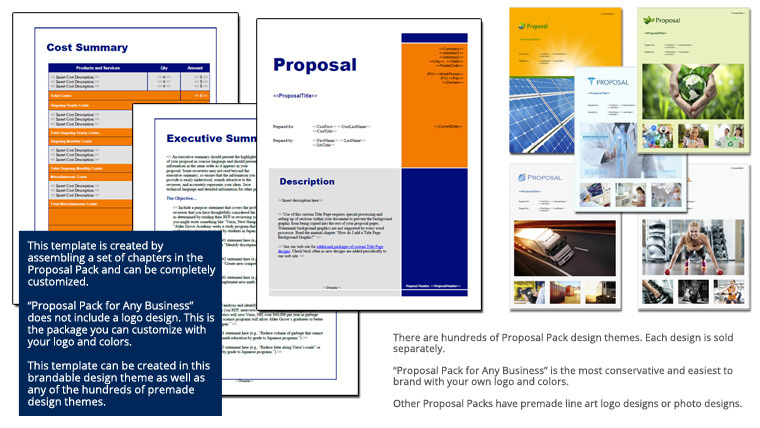 This 16 page layout is included with Proposal Pack. Create variations of this document of any length to suit your specific needs. Order and download for $79. An example of both product sales and services sales in the same proposal. to know how to gather the information, they need to know how to write a contract, write cover letters and much more. I was pretty much "lost" on the business proposal writing aspect until I discovered Proposal Kit. It was a lifesaver, to say the least. Using your kit shows my clients that I am a professional."